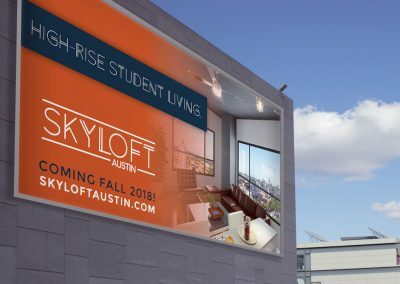 Johnson Trube & Associates, a full-service real estate development brokerage and consulting firm,partnered with Catalyst to assist in the lease-up of Skyloft, a new 18-story student housing property under development in Austin, Texas. 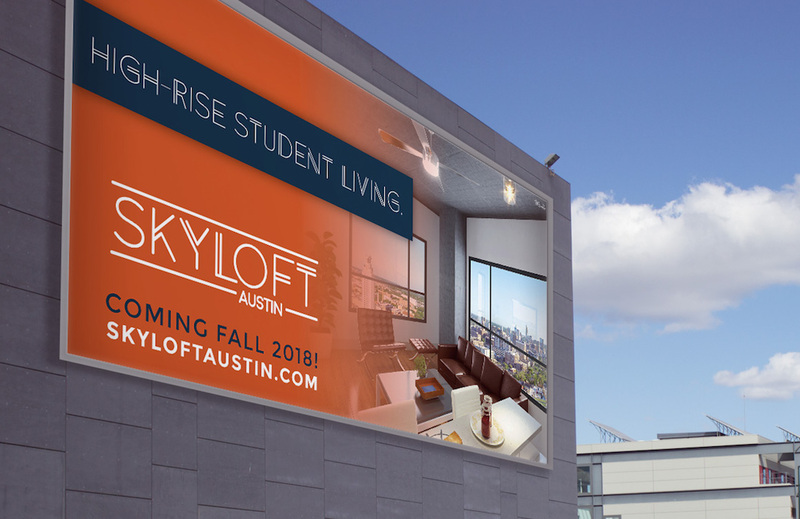 Catalyst was contracted to establish the branding for the asset and create marketing strategies to get a head start on leasing within the competitive University of Texas market. 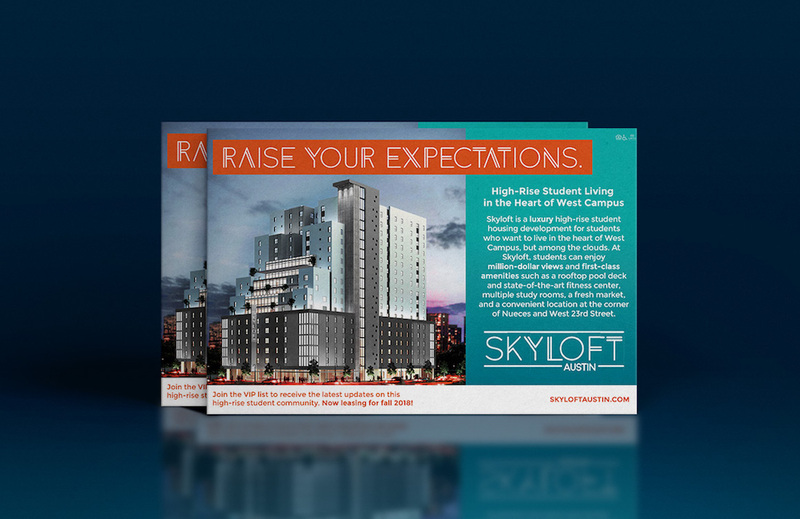 The property was in a unique position where the physical building did not yet exist, but marketing needed to take place during the construction phases in order to create awareness and excitement, leading to a strong pre-leasing effort. 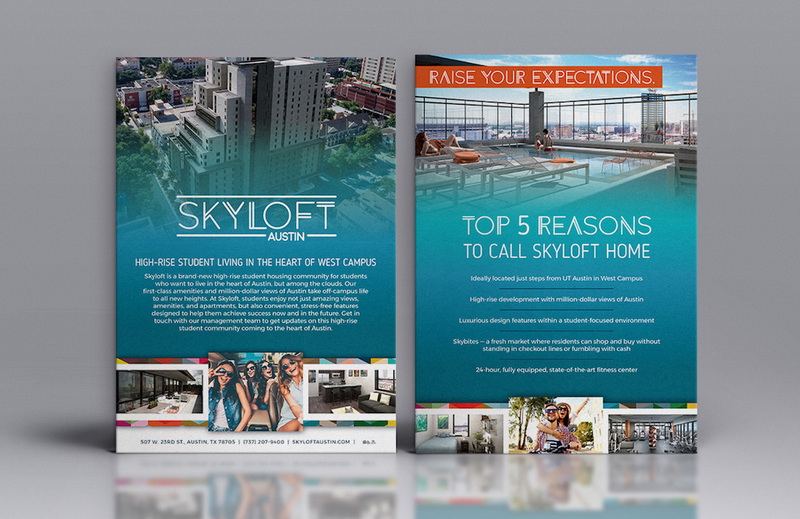 The Catalyst team established the brand look and feel along with the creation of a marketing strategy that would help support leasing efforts for the Skyloft team. 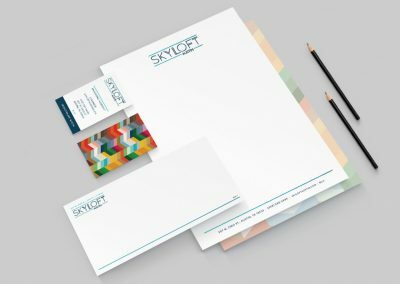 A strong brand presence was created with visual appeal that caused the client to stand out among the more traditional competitors within a very saturated market. 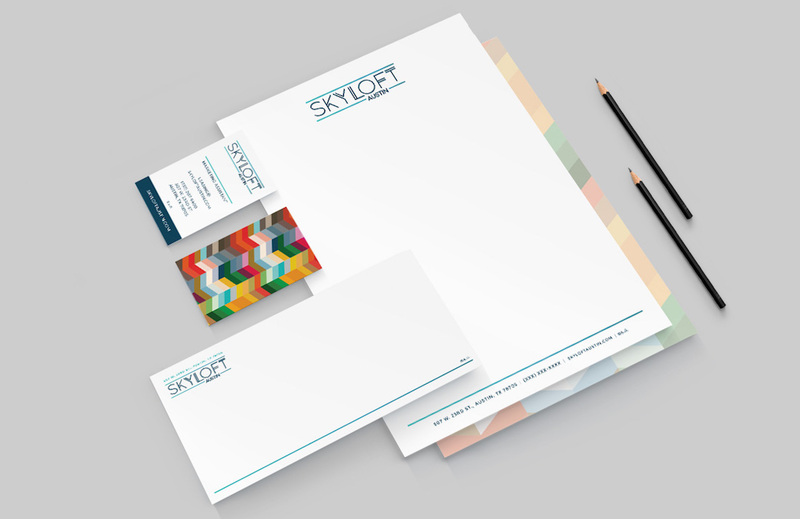 Branding elements encompassed the modern,innovative feel of the new high-rise development,and featured sleek lines, a blue and teal gradient,and bright pops of orange and yellow. 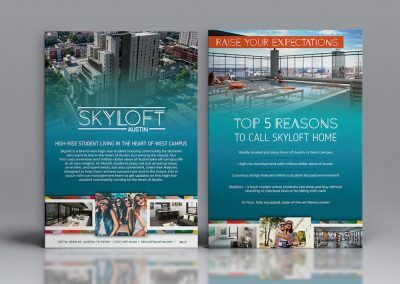 To gain recognition within the market, creative for Skyloft branding included tagline creation, a logo, a brand guide, a paper system, a marketing brochure, a temporary website, a full website, a sales sheet,social media collateral, multiple ad placements,email campaigns, leasing space signage, and more. 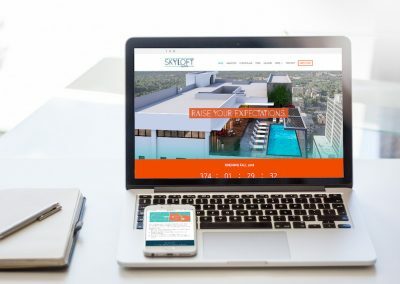 To get prospects in the market excited about the new property, Catalyst assisted in planning and marketing a launch party held at a popular restaurant that was walking distance from the new location. 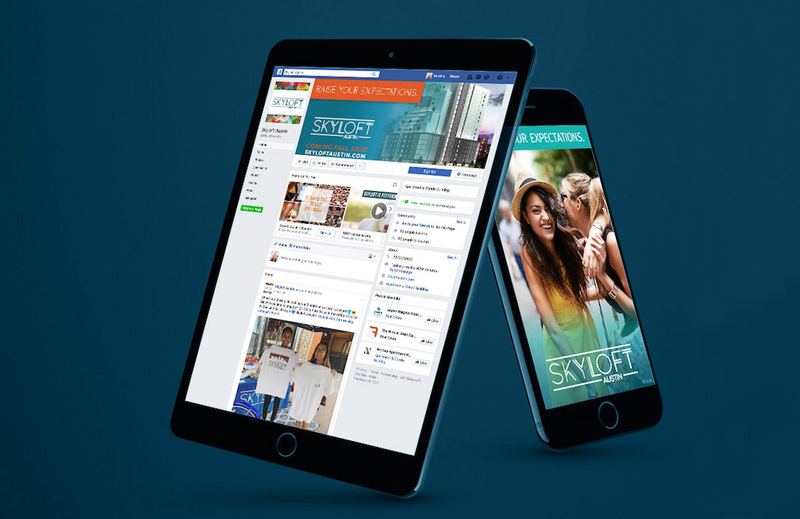 The integrated campaign for the Ultimate Tailgate Launch Party included social ads, a Snapchat filter, a pop-up banner, and emails that led to 92 event RSVPs. 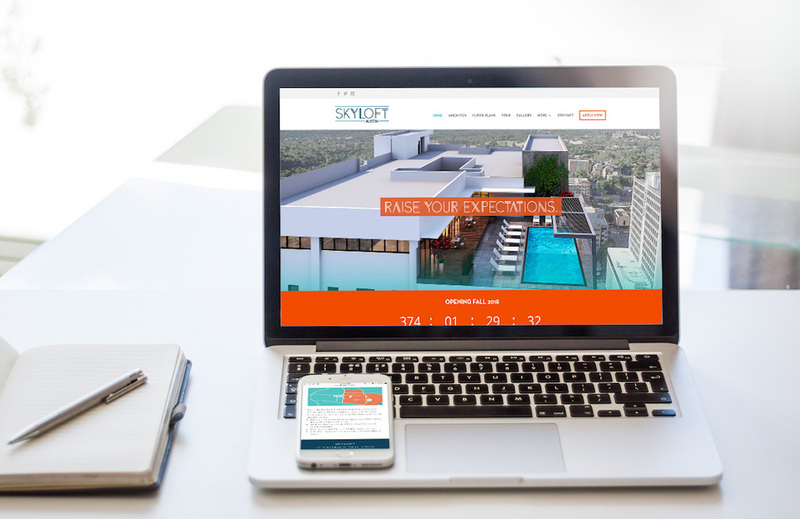 Catalyst also directed interested potential residents to a landing page where they could sign up for the VIP list, getting them access to special offers and event notices, and allowing them to be the first to know about exciting developments at the property.In addition, the full website continues to feature a countdown to the grand opening date and provides prospects with information about community amenities, floor plan options, and hot spots located in close proximity to the property. 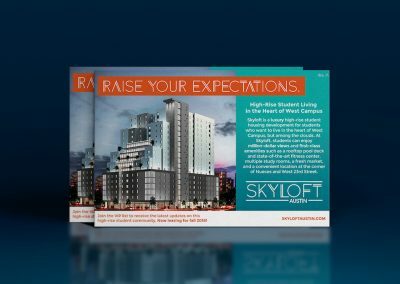 Skyloft provides a great example of how starting branding and marketing efforts early in the process leads to pre-leasing success. As of November 2017,the property leased more than 91.1% of their beds while still five months away from officially opening their doors. 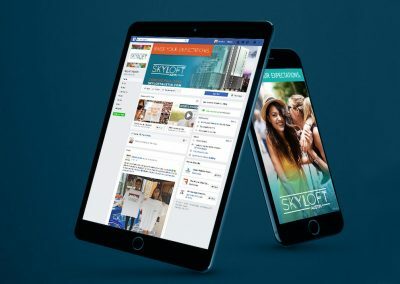 Skyloft has also successfully established brand recognition in the market, as evidenced by their social media following and online rankings.Within the same seven-month time frame, Skyloft secured 650 leases — many of which were captured through the website Catalyst designed for the property to assist in the strong pre-leasing effort.